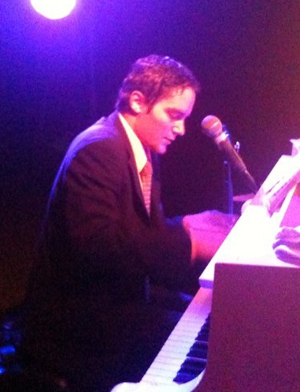 This entry was posted in Musician Profile and tagged dance, Danny Sinoff, entertainment, Florida, Ft. Myers, jam, jam session, jazz, piano, piano bar, restaurant, Roadhouse, Sinatra, song, swing, vocals. Bookmark the permalink. Ditto Shari’s comment. Need to contact Danny. Don’t worry though I’m not a poacher. It will not be for a Tues or Sat night. Danny and his guys are at JD’s in Pt. Charlotte on Tues and Fri nights. They are fantastic! I haven’t visited this site before and see it is not updated. Currently, Brian and I are enjoying Danny at the Roadhouse in Ft. Myers and JD’s in Port Charlotte. A GREAT talent and I am so appreciative of the two restaurants that have such wonderful music. I wish more would recognize that music makes success. Especially music like Danny Sinoff and Rich. Great guys, great music. And I can’t say enuogh about Sherry and Marc at the Roadhouse and Joe at JD’s. Thank you, thank you. Danny has a special talent combining excellent jazz piano techniques with his own unique flair for modern vocal renditions of classic American Song Book standards that will still be being played 100 years from now. He deserves a broader audience and exposure to bigger markets (however, as long as he promises not to abandon JD’s in Port Charlotte).